Children can break your heart, and sometimes the worst part is educating them. I strongly believe in discipline over punishment. We do use punishments as part of discipline, but not in place of it. I might spank one of my kids or give them a time out, but before I talk to them. I try to make sure they understand why the punishment is happening. I also talk afterward so they will remember. Sometimes discipline takes different forms. My kids have picked up some very frustrating habits from school. They learned to offer their friendship for favors, “if you do this I’ll be your friend.” They also learned to withhold love and friendship as a way of expressing frustration. “You were mean so I’m not your friend anymore.” We have worked hard to break these habits and tried teaching them that they should love everyone and treat people the way they want to be treated. Unfortunately just when we think that this is licked it rears its head in a new way. 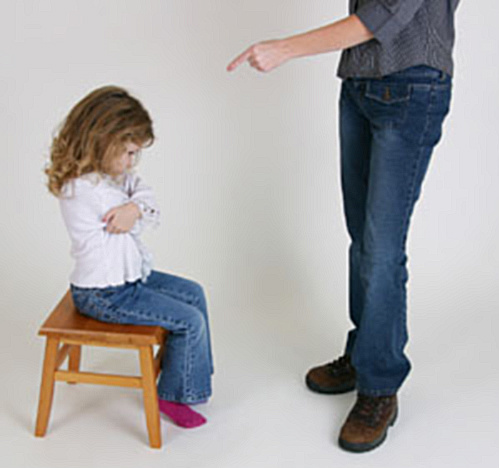 Now I could have spanked her, or given her a time out but that isn’t what she needed. We had a long and frustrating conversation. Sometimes, talking to 6 year old results in huge amounts of circular logic. We finally got to the heart of it, that her sister was being mean and she wanted to show how that made her feel. Then I took a crayon and turned that paper over. I wrote her name and drew a big heart around it. I asked what that meant. She correctly said “you love me.” Then we talked about how that made her feel, which is generally good. Then I put a big “X” through it and asked what that meant. She said “you don’t love me.” We talked about how that made her feel, which is generally bad, and how she thought her sister might feel about the other side of the paper. Next I took another piece of paper and wrote the names of all 4 kids and my wife. I asked her to tell me who each person was that I wrote down and then drew a big heart around all the names. I asked her what that meant and she said, “You love everybody.” I gave her a big hug and told her I love her very much no matter what she does. After all that I asked what she wanted to do with the other piece of paper and she said “throw it away.” I gave it to her and she started tearing it into little pieces and threw it all away. Have you ever had to deal with this? Any tips or suggestions for how I can teach my kids this lesson? Should I start taking up a collection for their inevitable counseling bills? Also, don’t forget to participate in my not too twisted giveaway. Awesome story. I’m still trying to figure all of this out myself. I do the chatting thing, I try not to yell. Every now and then a spanking takes place. But as you said, it breaks my heart. Yep teaching kids is hard and I doubt I’ll ever figure it out completely, but I’m hoping I get close enough to keep them in their right mind and following Christ. I’m not there yet, but I have a heck of a time trying to get my daughter to brush her teeth. She does flips and takes every one else’s tooth brush and plays. So hard not to spank her for that but I know that’s not the right thing to spank her for. Maybe have a family craft night, and make a replica of your daughter’s craft and rip the replica and see how it makes her feel. Just taking a shot. My general rule of thumb is I try to reserve spanking for rebellious behavior and yelling for immediate danger. I want to kids to know that if I am yelling something bad might happen. I would yell if they were horsing around in front of the wood stove and I was legitimately concerned that they might fall against the stove if I don’t get their attention immediately. I’m not always successful though. Sometimes I yell when I shouldn’t because I’m angry, but I try.